Juanita Torrence-Thompson is a published poet and the former owner, Editor-in-Chief and publisher of 32-year old international literary magazine, Möbius, The Poetry Magazine. Möbius, The Poetry Magazine 25th Anniversary (2007), Mobius 2008, 2009, 2010, 2011 and 2012 editions were selected by Small Magazine Review as a best poetry magazine. **** See Videos from MÖBIUS 25th Anniversary Celebration on YouTube! 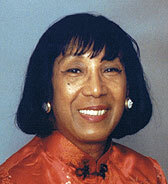 Among her many honors, Juanita Torrence-Thompson has been nominated “2009 WOMAN OF THE YEAR” by The American Biographical Institute Board of International Research. 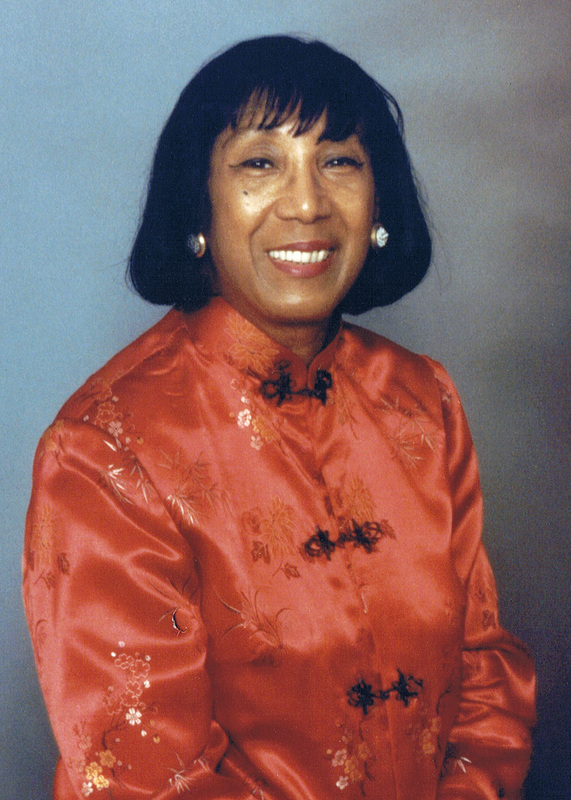 The American Association of University Women (AAUW), New York City Branch, named Juanita Torrence-Thompson as one of 10 women who “MADE A DIFFERENCE” and broke down barriers. Juanita, they said, has been dedicated to Black History and Diversity. This honor is denoted in a color booklet of photos and bios of the women, published by AAUW. **** SEE THE 2012 DR. ZYLPHA MAPP ROBINSON INTERNATIONAL POETRY AWARD WINNERS at: www.mobiuspoetry.com. Poems from her 6th poetry book, Breath-Life, (Scopcraeft Press 2009) were nominated for a Pushcart Prize. Her 7th book, Talking With Stanley Kunitz, was a finalist in the prestigious Many Mountains Moving Poetry Competition. New York and African Tapestries (Fly By Night Press, 2007) was a Small Press Review “BEST PICK”. Please see her books on the poetry, calendar & ordering pages. Juanita studied poetry with CORNELIUS EADY at Cave Canem in New York and YUSEF KOMUNYAKAA at Fine Arts Work Center in Provincetown and received her certificate in poetry from the University of Wisconsin. This culminated in publication of her first poetry book, Wings Span to Eternity, then Spanning the Years, which was endorsed by poets Rochelle Ratner, Maria Mazziotti Gillan as well as EBONY, Newsday and New York Trend. Celebrating a Tapestry of Life, her third book, was endorsed by Gordon Parks, Nikki Giovanni, Daniela Gioseffi, Laura Boss, Tom McKeown, Dr. George Dawson and Barbara Hantman etc. as well as Merle English of Newsday. Celebrating a Tapestry of Life and Spanning the Years were published by Torderwarz Publishing Company. Celebrating a Tapestry of Life is in the English Library in Zurich, Switzerland as well as libraries, colleges and schools here and abroad. Breath-Life and New York and African Tapestries are in the Main Library at The University of the West Indies, St. Augustine, Trinidad and Tobago, West Indies, etc. Read poets Pam Bernard and Thaddeus Rutkowski reviews of her poetry audiobook Poetry Among The Flowers: Queens Meets Asia on her poetry audiobook page. Juanita Torrence-Thompson has lectured and read at the Hilton during the 2006 National Federation of Poetry Societies, Inc. convention in San Antonio, Texas and at Poets House and the New York Poetry Forum in New York City. She has been invited to speak and read numerous times by the American Association of University Women (AAUW) and has also spoken at 100 Black Women of Long Island in New York. She has also read with Pulitzer Prize winning poet Yusef Komunyakaa & other award-winners such as Sonia Sanchez, Cornelius Eady, Daniela Gioseffi, Colette Inez, Hal Sirowitz, Stephen Stepanchev, Louis Reyes Rivera, Samuel Menashe, Maria Mazziotti Gillan, Laura Boss, Thaddeus Rutkowski, Rochelle Ratner, John Amen and more. She has been interviewed & read on TV & radio, including: TV Eyewitness News (Hartford, CT), QPTV (NY) (many times), & Caribbean Classroom by John Crow; NY Cable Growing With Grace, Manhattan Cable TV Flying Fish. Cablevision Ch 20 LI Poets on Film interview by Tammy Nuzzo-Morgan & JTT solo reading; Time Warner Cable, Brooklyn by Alfred P. Harris. -- RADIO: Bombay, INDIA; WLRN (National Public Radio); WPOW (Miami) WAFG (Ft. Lauderdale FL); WNYE, NY (many times); WLIB (NY) Felipe Luciano Show. WWRL, (NY) WBAI many times) & Perspectives reading with Suffolk County Poet Laureate, Daniel Thoms Moran, & interiwed by/Louis Reyes Rivera; WILD (Boston) To the Point; WNUA (Chicago); WBAA (Indiana); WAIC Tony Gill Show & The Gospel Hour Springfield. MA; WBET (many times) (Brockton, MA). She is a critic and judges local, state, national and international poetry contests. She also writes poetry columns for newspapers in New York and Massachusetts: The Culvert Chronicles and Point of View and is a former poetry columnist for New Voice of New York. Juanita Torrence-Thompson won fifth prize in the national Writers Digest Poetry Award out of 4,000 poems submitted. She also won second prize in the Spoken Word Poetry Contest by New York Association of Black Journalists, and First Prize in the New York Public Library Poetry Contest (Adult Division) as well as Editors Choice Awards from The Robins Nest and The Nashville Newsletter. She won second prize in the Poetry Society of Michigan International Poetry Contest for 3 poems in categories of: humor, free verse and rhyming verse. She also won honorable mention twice for the Margaret A Walker Short Fiction Competition, the Paul Laurence Dunbar Poetry Award, the Writers Digest Contest for feature articles and childrens fiction. Juanitas feature articles, short stories, and hundreds of poems are in or forthcoming in dozens of magazines including: Black Enterprise, YSB Magazine, Class Magazine, Minority Business Journal, Adjunct Advocate, Paterson Literary Review. Lips, The American BahaI, Main Street Rag, Möbius The Poetry Magazine, Poetry Nottingham (UK), Jones Avenue (Canada), Quantum Leap (Scotland), Speed Poet (Australia), Spillway Magazine, Aim Magazine, Phantasmagoria, Westview: A Journal of Western Oklahoma, California Quarterly, Caprice, The Montserrat Review, Green Hills Literary Lantern, Clark Street Review, Bears Tale (Livingstone College), Yefief, New Laurel Review, Art With Words, Edgz, Freshet, Chaminade Literary Review,The Courier, Appearances, Laurels, Pegasus, Tucumcari Literary Review, Feelings, Bay State Echo, Haydens Poetry Review, Array, Nashville Newsletter, Opened Eyes, Robins Nest, Footlights, Snails Pace Review, Curbside, San Fernando Poetry Journal, One Womans Network, Womens Work, Fauquier Poetry Journal, Spotlight News, Sublime Odyssey, Intercultural Writers Reiew, Theme Poetry, Poets Review, Best of Feelings, Merlanas Magickal Messages, Poetry Motel, Poetic Realm, etc. Online or anthologies include: The Pedestal Magazine, Marsh Hawk Review, Ars Poetica (online and print), Identity Theory, Saturday at the Diner, Plato, Forgotten Borough, The Cento, Brownstone Poets Anthology, Poem Home, Long Island Sounds Anthology, Pedestal Magazine (9/11 book of 100 poets worldwide), Amazing Grace, An Eye for an Eye Makes the Whole World Blind (100 poets worldwide on 9/11), The Spirit in the Words, Conceit Magazine, The Bracelet Charm, New Mirage Journal, and First Literary Review (East). Many newspapers including her print and online poetry columns in The Culvert Chronicles (New York) and Point of View (Massachusetts). She has come full circle to performing and writing. As a precocious 10-year old in Massachusetts she wrote, directed and starred in her first play which was exhibited during Black History Month in Boston. As an actress-singer, she appeared in London, England; New York and New Jersey in revivals of Arthur Millers The Crucible, Douglas Turner Wards Day of Absence and Sophie Treadwells Obie-winning Machinal. Now she mesmerizes audiences as she reads her poetry in Singapore, Switzerland, Canada and at the University of Cape Town in South Africa as well as at numerous U.S. colleges and universities including Yale, Princeton, Columbia, Barnard College, New York University, Howard, Georgetown, University of Chicago, University of Miami, Rutgers, Penn State, Fordham, New School University, Queens College, Queensborough Community College, BMCC, Wayne State, Livingstone College and many more. She had also read at various elementary, junior high and high schools such as the UN International School, John Bowne High School, Martin Van Buren High School, Brockton High School (Massachusetts), Pompano Beach High School (Florida), and at libraries in Queens, Manhattan, Brooklyn, Westchester, Massachusetts Florida and Michigan. Bookstores such as Barnes & Noble, Borders and independent stores in New York, Massachusetts and Florida. Also: UNITY journalists convention in Seattle, WA, Detroit Writers Conference, Queens Botanical Garden (solo reading), Alley Pond Environmental Center (many times), Nuyorican Café, etc. See Calendar. Torrence-Thompson received her M.A. from Fordham University and B.S. from SUNY, Empire State College. She holds or held memberships in Queens Council on the Arts, The Poetry Society of America, Academy of American Poets, Poets & Writers, Poets House, The Fresh Meadows Poets, Brevitas, The Society of Childrens Book Writers and Illustrators, The National Association of Black Journalists, Native American Journalists Association, Black Americans in Publishing and the American Association of University Women. Several of Juanita Torrence-Thompson’s poetry books have been accepted for years into collections at U.S. universities, schools, libraries, bookstores and international libraries in Europe, etc. Recently The University of the West Indies (St. Augustine, Trinidad & Tobago, W.I.) added her New York & African Tapestries and Breath-Life books to their collection. Also, the University of New Hampshire is adding Ms. Torrence-Thompson’s last three titles as well as the 30th Anniversary edition of Mobius, The Poetry Magazine to their impressive collection. Her 8th book, The Secret Life of Scrambled Eggs, is now available here. For further information, please consult directories, including Whos Who in the World, Whos Who in America, Whos Who of American Women, A Directory of American Poets and Fiction Writers, International Authors and Writers Whos Who, Dictionary of International Biography and Whos Who Among African Americans.